Just because a film is quiet and contemplative, that doesn't mean it's "pretentious" or "snobby." Just because a film explores new ideas and deep human emotions, that doesn't mean it's "dangerous" or "overly dramatic." Just because a film is romantic, soft-hearted, and affecting, that doesn't mean it's "mushy" or "just for girls." Just because a film is light-hearted, fun, and innocent, that doesn't mean it's "childish." Just because a film is from another country, that doesn't mean it's "weird" or "unimportant." Just because a film is old and gray and from a different era, that doesn't mean it's "boring." Just because a film presents ideas you disagree with, that doesn't mean it's "sinful" or "wrong." Now, replace the word "film" in the above statements with "person." The same rules apply. 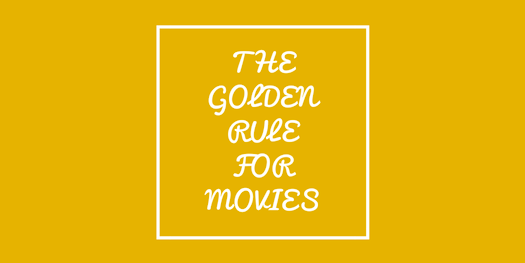 Do unto movies--and people--what you you would have them do unto you.